Cycling in Urban Environments: do the benefits outweigh the risks? Home / News / Cycling in Urban Environments: do the benefits outweigh the risks? 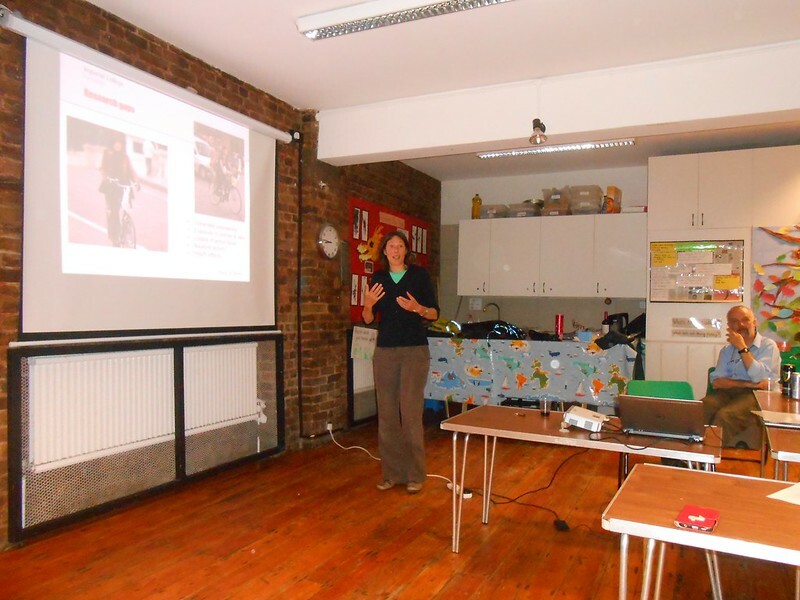 Audrey de Nazelle spoke to us at our meeting on 20th June on the benefits of physical activity involved in active travel versus the risks from traffic injuries and air pollution. Audrey presented the work of her group at Imperial College, together with a review of published studies that consider whether the benefits of cycling in Urban Environments outweigh the risks. This was a comprehensive and rigorous statistical study of the benefits of physical activity involved in active travel versus the risks from traffic injuries and air pollution. To quote Audrey: the main message so far from all of 20 published studies: Benefits of active travel in terms of physical activity outweigh adverse effects associated with air pollution and/or traffic injuries. But there are exceptions. Audrey emphasised that cycling in proximity to heavily-polluted roads is best avoided. She showed that there is a ‘tipping point’ at which the benefits of additional cycling in polluted environments begin to be outweighed by negative effects. The talk was followed by a lively discussion of the issues in which Meyer Hillman pointed out that he had done work on this subject 25 years ago. Audrey’s slides can be downloaded here (PDF). PS. Old timers may be interested in the report on a talk that Mayer gave at one of our meetings in 2004.